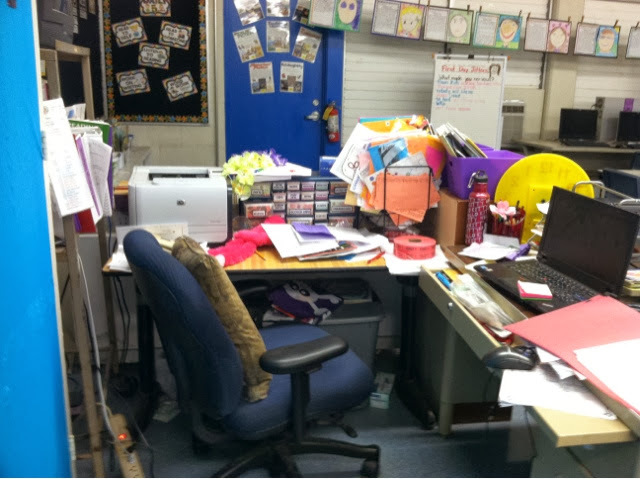 Teaching in Paradise: A Peek Into My REAL Classroom and a Secret! 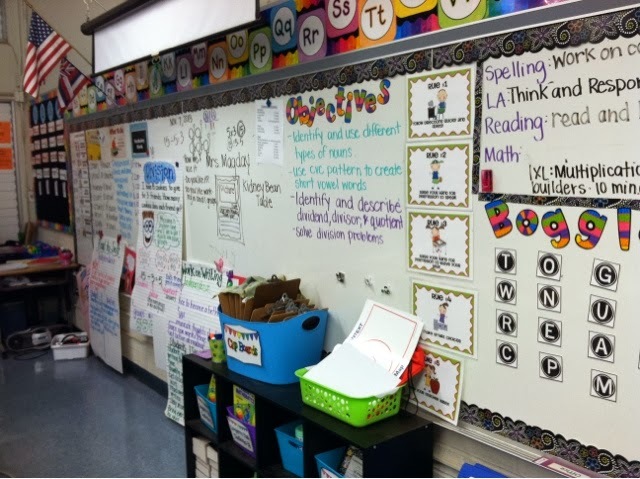 Today I'm linking up with Jennifer from Teaching with Grace to share with you all what my REAL classroom looks like. No, no, no I have not been sharing fake pictures of my room...but let's all admit it, we all straighten up our rooms before we post pics on our blogs right? I sure know that I LOVE taking pictures of my room before the first day of school. Everything is picture perfect. 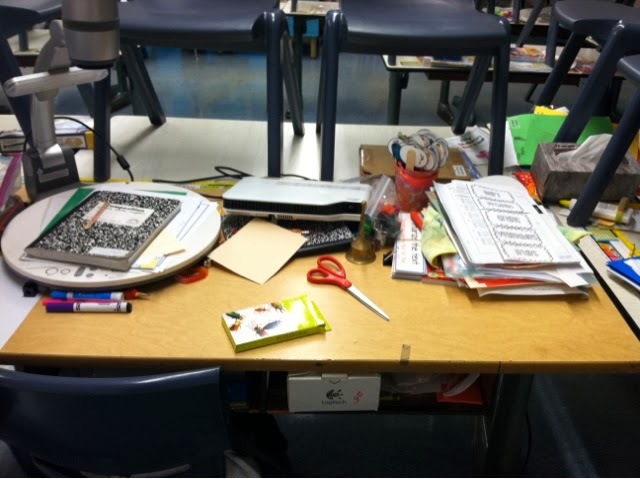 Once the students arrive, and teaching and learning has happened....it looks like a tornado hit my room! At least I know that by the looks of things, others can tell that there has been learning going on. 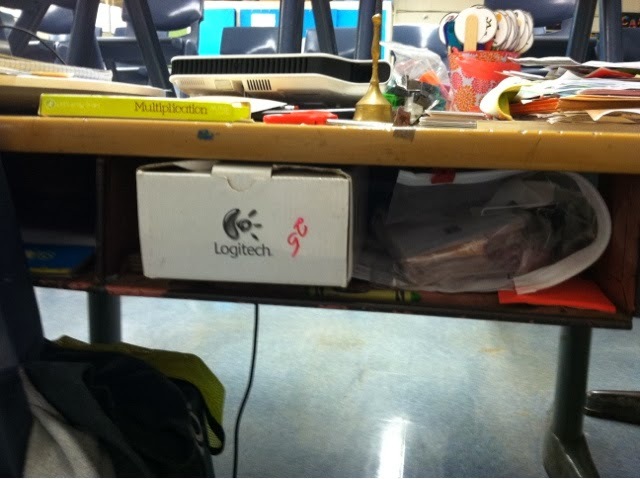 This is my desk in the front where I use my ELMO. I'm also guilty of sometimes shoving things in there in the midst of the crazy..and then losing my mind trying to find that thing. My desk and our kidney bean table where I work with small groups. I feel like my messy desk pictures are ALOT worse than others, so I did want to let you know that I am not a complete slob. Other than my areas, the rest of the room is actually pretty neat and clean throughout the day. 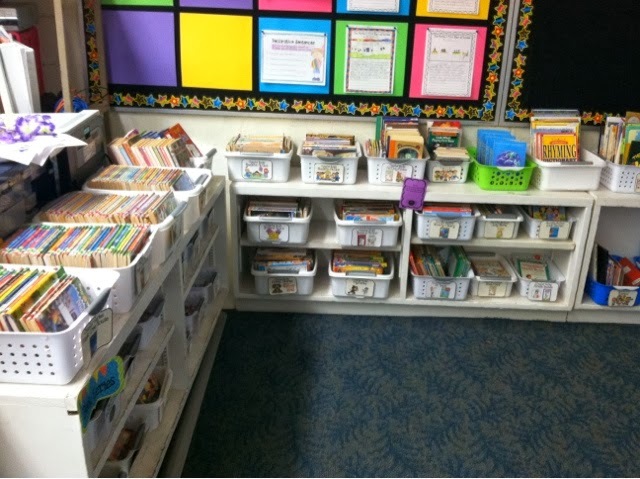 I'm actually so proud of how neat and organized this bunch of kiddos keeps my library. 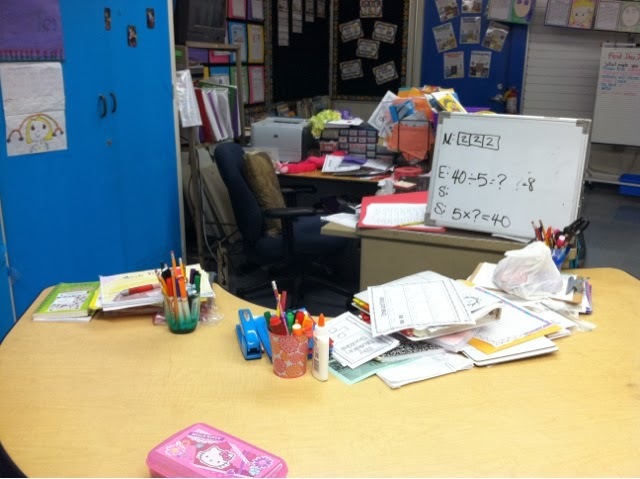 I sometimes feel like a hypocrite when I'm always telling my students to clean their desks...but really, I ain't got NO time for cleaning during the day. I'm constantly sitting and working with kids. I learned about this game from an amazing 4th grade teacher from my school. Basically, you have the kids go around the room trying to 'find and fix' something that is not right. I give them 2 minutes, and at the end I pick a 'winner' that has 'found and fixed' the thing I was thinking about. 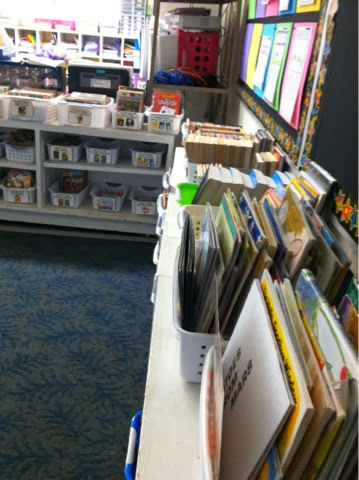 They all move around the room ever so quickly and quietly while straightening things up, wiping things down, returning supplies to supply bins, picking up trash, pushing in chairs, shutting down computers, organizing the library, putting away manipulatives. You need it done, someones thought of it! The best thing about it is that there really wasn't even any secret thing I was thinking of to be fixed, I just want the room cleaned!! :D In all three years I've been playing this game, not one child has figured it out yet! I usually pick a random kid and check names off a list to make sure I got them all, and give them whatever coins I have (classroom economy money) in my pocket at the ending of the day . What are your secret tips for keeping the room tidy? I feel the same way. I make a pile of stuff, but I tell my kids to put everything in folders and organized. 'Do as I say, not as I do." I guess. I *LOVE* your secret! I am about to start my first year of teaching in January (I live in Australia) and I think this is a tactic I'll pull on my year 4 kids soon enough!